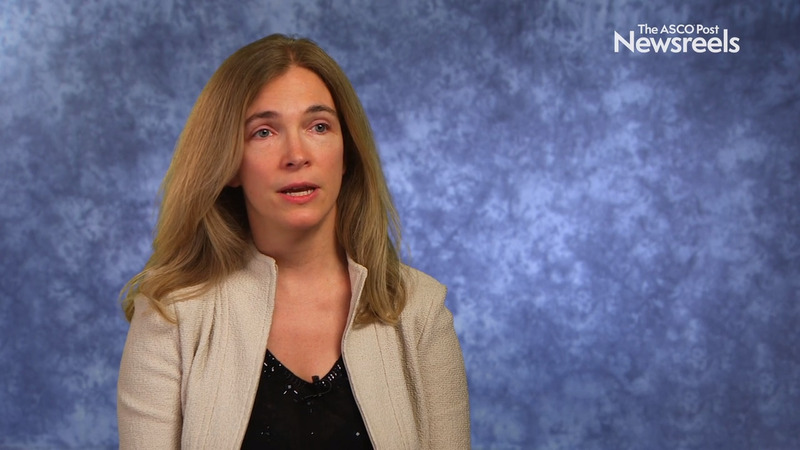 Chrysalyne Schmults, MD, of Brigham and Women’s Hospital, discusses treatment strategies in these nonmelanoma skin cancers, including surgery, forthcoming staging systems, and ongoing trials combining adjuvant radiotherapy and immunotherapy. What Is the Best Field-Directed Treatment for Actinic Keratosis? Is the Presence of Nevi on Extremities a Risk Factor for Melanoma and Nonmelanoma Skin Cancers? Cutaneous T-Cell Lymphoma: Can Genetic Polymorphisms Help Select Patients for Treatment With Bexarotene? How Effective Is Talimogene Laherparepvec Injection in Metastatic Melanoma? ESMO Immuno-Oncology 2018: Does Proton Pump Inhibitor Therapy Impact the Efficacy of Nivolumab Plus Ipilimumab? Encorafenib and Binimetinib: A New Benchmark in Metastatic Melanoma Therapy? Steven M. Horwitz, MD, of Memorial Sloan Kettering Cancer Center, discusses phase IIa study findings on the novel SYK/JAK inhibitor cerdulatinib for relapsed/refractory peripheral T-cell lymphoma and cutaneous T-cell lymphoma (Abstract 1001).